Its back. Tah dah dah. I can avoid the scales no longer. I'm down a 1lb and I'm thrilled! Yes, thrilled at a pathetic pound because I wasn't really "in the zone" as we all say. I kind of half heatedly put up my weight loss to date and hoped the magic pound fairy would sprinkle some dust over me and I'd be up and running. Not to mention a bit of vodka, staying up to 1.30 am with my husband on Sunday morning and forgetting to put the clocks back meant Tuesday was looking bleak. I haven't re-started logging my food on my fitness pal but as all dieters say "tomorrow I'll start". Today, I managed (afternoon again - I don't do afternoon jogging!) to finish Week 6 of the C25K programme. I would have gone out yesterday but it was absolutely lashing it down which should be no excuse as "Dame Kelly Holmes wouldn't be put off by a bit of rain. Would she now?" Yes thank you Mr 1970s Diet or should I say 1960s since that was the era he was born. I should have completed it by Sunday so I will re do Week 6 this week if that makes sense. Not only that, I can't quite manage to jog 22 minutes without stopping. It was "hurricane" weather out there today, so said my daughter, I don't suppose that helped but I still don't think I could have managed it. My route isn't flat either there are inclines and then there is a rather large one. I stopped 3 x today during the 22 minutes and reckon I walked at least 4 minutes during that time. I reckon I can walk faster than I can jog! I've always been a fast walker. On a positive note, I don't have shin splits which I can get when walking fast and my knees are baring up under the strain of my body pounding down on them. Poor things. The Easter Holidays appear to be going quite well. We always have bickering just before school holidays then the standard pep talk of "you have to get along" "I'm not having this nonsense for 2 weeks" "They'll be no this (insert empty threat), no that (insert another) and early bed every night AND only bread and water for tea" This normally reigns them in a bit. I have to say the absence of the X-box is wonderful. I don't have to constantly say "get off of it now" and whilst there are crafty bits littered all over the house - I can live with it. 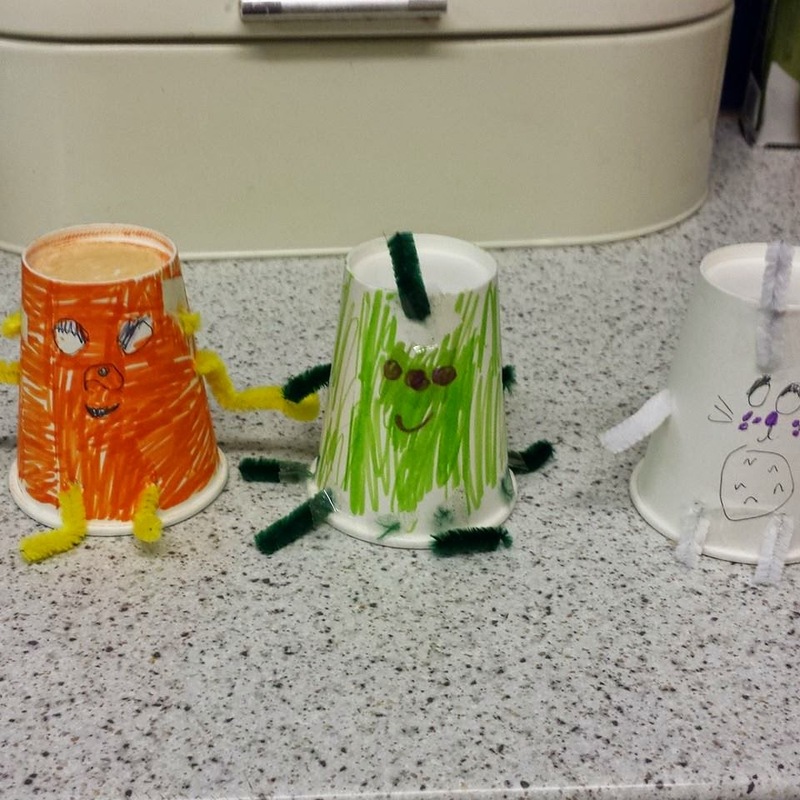 Yes, they have to use their imagination and its amazing what they can find to do with pipe cleaners and some paper cups. We went to the local shops yesterday and picked up a few supplies. I couldn't help but put the dvd of Paddington in my trolley and my son worked out it was cheaper to buy 2 x boxes of Cadbury Creme Eggs and I quote "this is where maths comes in handy". No one would have believed (best Richard Burton voice) that my 11 year old would come downstairs and say "look this has been transformed from this to this". And my daughter's offering - she never stops painting, sticking, gluing and generally creating a mess! 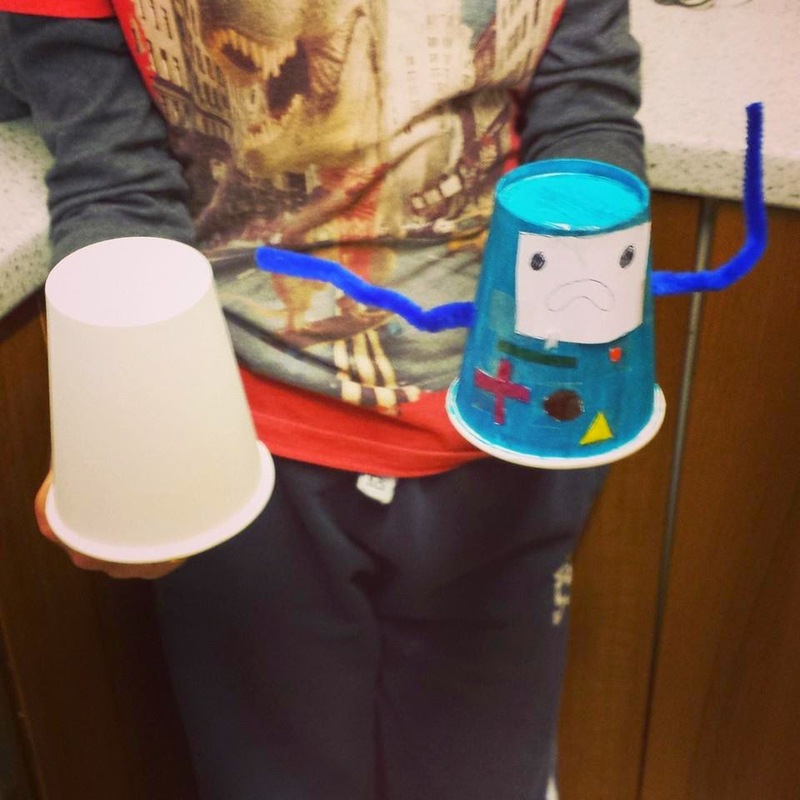 I don't do crafts and I'm not a crafty blogger but I think this is worthy of a book deal don't you? How to spend very little during the Easter Holidays. In other tittle tattle - our main computer has died a death normally my husband sorts this sort of thing out but sadly he's having no luck. We can never split up for this reason and possibly a few others but mainly this. If he ever left I wouldn't be able to work the TV let alone a major malfunction of the house computer. Thankfully, I recently ordered the latest set of photo's off the computer from Boots so if everything is gone at least I have lots of photo albums all up to date. What would you do if everything was wiped off your computer? I mean it might be easily fixed but then again....dah dah dah. Now that's my chimp talking. Tomorrow, is Buddy's speech therapy review. His tongue tie has worked wonders and I think they'll sign him off. After that, we'll have a baking day of easter nest cakes, one big easter cake and I may attempt hot cross buns. It is the season to stuff yourself silly and forget about the meaning of it all. I can churn this post By Jesus Its Cadbury out every year although I think people are a bit more restrained than in 2012. What do you think? One mention of Richard Burton and I couldn't help myself. 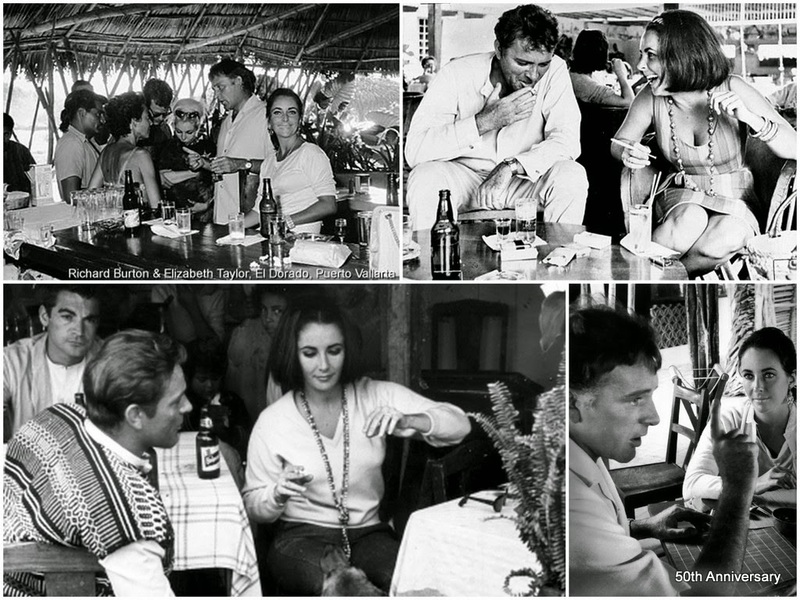 I love these pictures of when he was filming Night of the Iguana. They had a great time drinking until the early hours and bought a villa in Puerto Vallarta. Its actually a very good film also. Well done. We are staying with my parents for the holidays. I've put on 2lbs so far this week. Trying to do damage control before tomorrow but I may wait until Friday to post.